You have an uncanny ability to capture the most wonderful interesting geometric shots! I love coming here to see them. i love these blues and these angles! 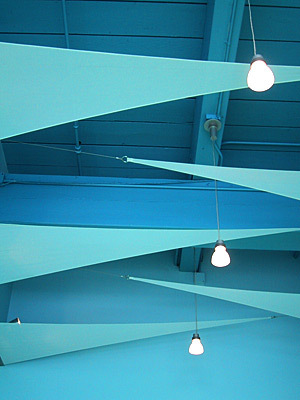 wow, love the bluish-green shades here and the kinda geometric look. very nice! nice shot and nice colours. as usual, your capture of the lines does well. you shown your keen eye for lines and shapes again! Love the geometry and colours… great shot! sui » ありがとーです。今度はsuiさんみたいにほんとのあおい海の写真を撮りたいなー。（ここの海はあんまり青くないのです。）matt » you’re in cal! I am in awe. I love your work.